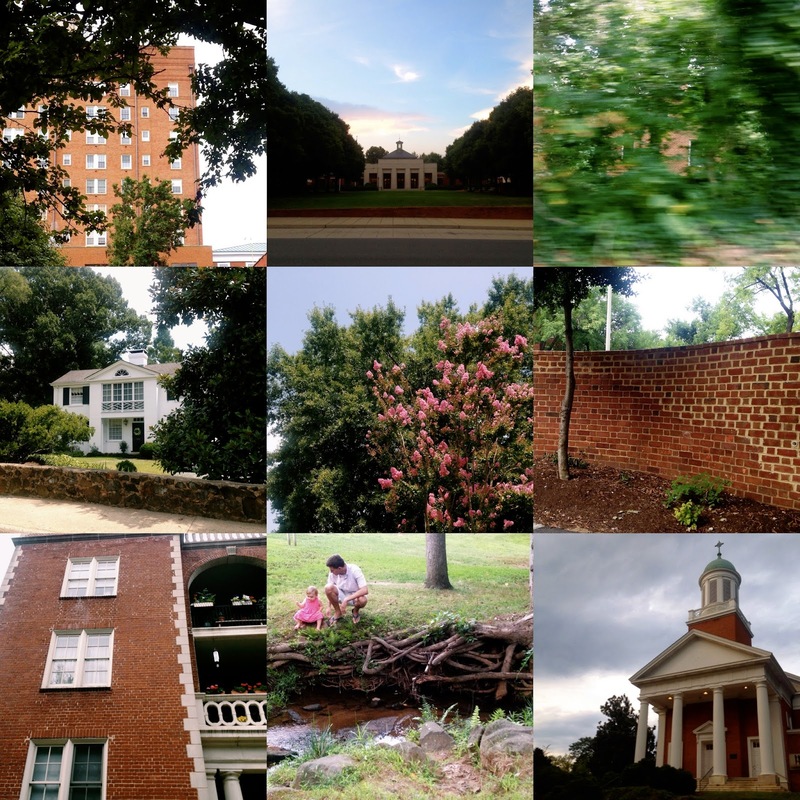 MEET VIRGINIA: A PRETTY BLUR OF BRICK + TREES | jeni a.
We’re here. Virginia has been home for ten whole days, and I don’t know if words alone will explain how I’ve been feeling. I mean, I’ll be as simple as it gets and say this: everything is so normal. But describing moving to the opposite coast of my country, living in a totally foreign city, and seeing so many different demographics in people and places as "normal" is beyond me. For instance. The lack of mountains? No big deal. Haven’t batted an eye at how trees envelope every inch of this ground, and that I don’t look up at anything but leaves (…and considering my love for Mt. Timpanogos, I cannot believe I just said that). Or the totally different cultures? Well, the other day as I ran up my street, I understood a bit of that conversation between those Chinese people, and I so felt the soul vibes from those Black singers in the parking lot of Krogers. Their song could’ve been my own, it was so smooth. Oh and the humidity? I guess it’s hot, but hasn’t the climate always been this way?? There have been sooo many cases in the last ten days that have made this point: I’m an extremely blessed girl and there are some serious prayers being answered. Like I know that my mom and dad have prayed for our easy adjustment. They knew my hesitations about this mega move. So to think that I love this new country like it’s my hometown is nothing short of miraculous to me (and to them, I’m sure). Maybe our next move won’t be this way. In fact, I’ll count on that. I’ll expect to have that huge curve thrown my way – the one with culture shock, homesickness, and everything else hard. Because this feeling so “normal” thing really isn’t normal, I know. Feeling so grateful. *I’m amazed that this state of being is actually my own. Did you know that God lives and answers prayers? You should. Because He does. *I mean, we’ve had stressful moments. We came without a good chunk of furniture, so we’ve been Craigslist hunting, etc., for the past week and I tell you…wow. But that’s another post for another day (coming soon). You are in VA? Me too! Where are you living? ?